A special adult-free opportunity for children to look at and buy art. 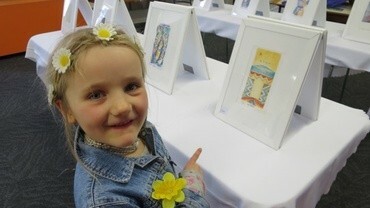 Small, original lithographs will be sold exclusively to young people aged 5-18 years. All unframed prints are $70 and the artists' names are covered during the show. Bring your children, grandchildren, nieces, nephews and friends! 2016-2017 is a very special edition of the Muka Youth Prints, now in its 30th year and arguably the one of the longest lasting New Zealand art projects. Over this time 88 New Zealand and 77 international artists have contributed to the project, while tens of thousands of young people have been able to build their very own art collection.